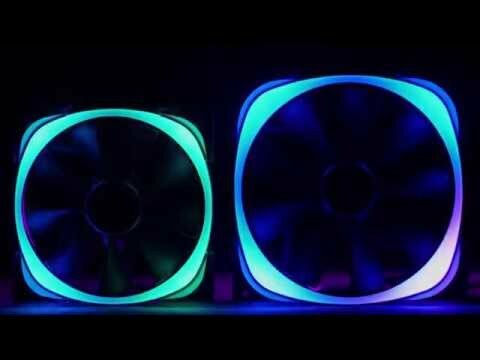 Product Overview Designed to integrate seamlessly with HUE+, the Aer RGB fan provides optimal airflow and advanced lighting customizations. Group and daisy chain up to five fans per channel from the HUE+ for extensive lighting modes that work in perfect harmony. Select and modify over 10 lighting effects with ease using CAM’s software interface. The Aer RGB fans feature fluid dynamic bearings and winglet tips that deliver enhanced performance and minimize noise levels. Features • HUE+ and CAM-compatible for seamless software controls and customizations. • Daisy chain and group fans together for additional lighting effects. • PWM fan with optimized cooling and whisper-low 22 dBA. • Fluid dynamic bearing engineered to last over six years. • Uniform light dispersion with unique light guide design. • HUE+ is required and sold separately.